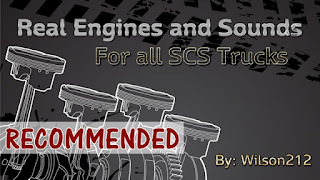 This mod adds new engines to each of the SCS trucks in game (389, 579, t680, and the w900). These engines are replicated from real life engines, and contain real horsepower and torque ratings. A lot of research went into these engines to ensure that the numbers behind each engine are correct. All the included engines use Kriechbaums engine sounds, for added realism. In total, he has added 10 new engines (6 Cummins ISX, and 4 Paccar Mx-13) engines to the Peterbilt 579 and Kenworth t680, as well as many classic engines such as the C15, N14, and 3406e engines (for a total of 19) to the w900 and 389. You can edit or add you own engines by using the Engine Editor App that he created (Found in the discussions page of this mod). Footnote: Please back up your save files before installing new mods, or save to new save slots when trying new mods. This mod is no exception.  If you decide to remove this mod at a later date, please visit the "Uninstalling" section of this post. How Does This Mod Differ From The Rest? Sensible Engines: Most engine mods just add new engines of various horsepowers to the game. While, they may be realistic engines, many people fail to realize that Horsepower does not matter in this game. Torque is the only performance variable for an engine in ATS/ETS2. There are only 5 common torque options for heavy duty trucks in real life (1450, 1550, 1650, 1850 and 2050). Whats the point of having 30 Mx-13 engines for each truck when only 5 of them will perform differently from each other? This mod adds the most popular engines, and removes redundant motors that are indifferent from another. Realistic Sounds: Kriechbaum has allowed me to use his custom (and very realistic) engine sounds for his engines. Most engine mods are just that, a mod to add new engines using the default sounds in game. This mod however, uses realistic engine sounds for added immersion and realism. Attention to Detail: Alot of time, effort, and research went into getting the correct data attached to each engine. Things like Torque rating and curves, horsepower, peak RPM's, engine displacement, Governed RPM limits... you name it, he researched it. Every engine's def file includes links to where exactly he got my information on that engine, to ensure quality. He decided to keep progression unlocks in this mod. A new player (under level 4) will only have engines with 1450 torque available to them. Engines with 1550-1650 torque will unlock at player level 4. At level 8, engines with 1850 will be unlocked. At level 12, all engines will be unlocked. Though customization is somewhat limited, each engine type does have its own personality. Each engine type (Mx-13, ISX, N14, C15, 3406e) sounds different from each other, and as close to their real life sounds as possible. Engine size is a real thing in this game, so if you are using Realistic Fuel Consumption, The ISX12 and MX-13 engines will have the best gas mileage, and the ISX15 and C15 motors will have the worst mileage. The bigger theengine however, the better the power ratings (usually). Each engine also has hand crafted torque curves, using real life specifications to further differentiate the engines. Coyote's Air Brake Sounds: Place his mod higher priority than this mod. Coyote's Parking Brake Sounds: Place his mod higher priority than this mod. Other sound mods may work, but have not been tested. If you ever feel the need to remove this mod, you have 3 options. 1. Revert to a previous save: Self explanitory. He did warn you at the top of this mod description. You can try using the repair mod, but it doesnt work for everyone. It can be downloaded here: https://drive.google.com/open?id=0BxwjIMAtvWWrRGVGaEJJd0VYWmM . The mod goes in the following folder "/My Documents/American Truck SImulator/mod/"
It has also been reported that you need to buy a different engine with the repair mod installed to get your sounds back as well. 3. Sell your truck and buy a new one: After removing my mod of course. Do NOT install an SCS engine prior. Please respect Kriechbaum's and his work and do not upload this mod anywhere!